We are at Lakota Lake of Jamnagar on morning. It look like there is birds party going on. Everywhere there are birds and birds. More than 10k Gulls are there. We saw these beautiful birds there in lake. 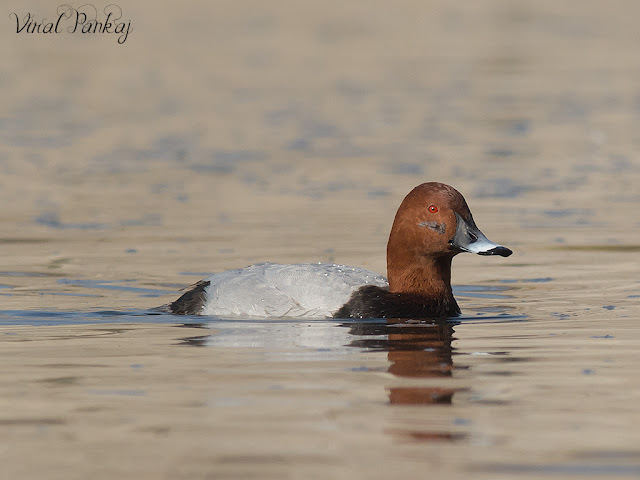 Common Pochard is a medium-sized diving duck. The adult male has a long dark bill with a grey band, a red head and neck, a black breast, red eyes and a grey back. 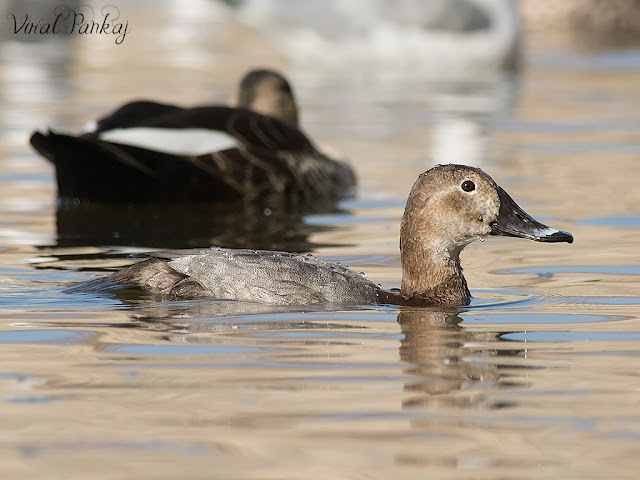 The adult female has a brown head and body and a narrower grey bill-band.